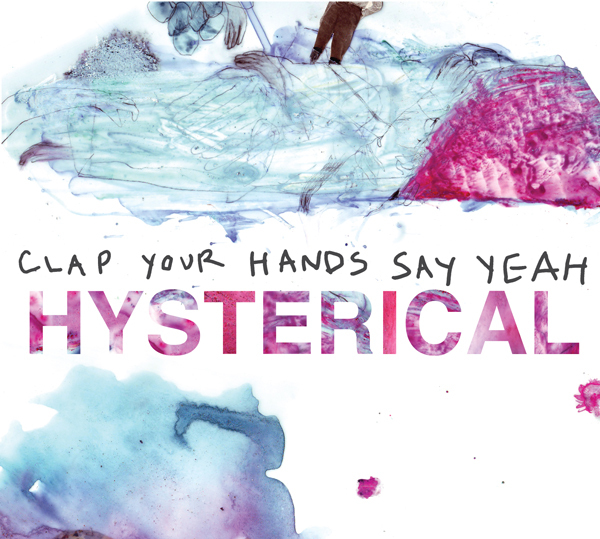 Back when I was only just starting to get into the exotic world of music, one of the first indie rock bands to catch my attention was Clap Your Hands Say Yeah, whose much-hyped, self-titled debut made a huge impression on me. Whether due to my own inexperience with genres at the time, or due to the album actually being somewhat underwhelming however, 2007's sophomore "Some Loud Thunder" didn't truly strike a chord with me, so I wasn't actually too bummed when it was announced that the band would take a break while frontman Alec Ounsworth spent some time working on a solo project. 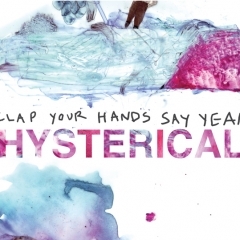 Still though, when I recently heard that the band was coming back with a third album titled "Hysterical", I was initially quite thrilled, and early experiences with the new songs kept me that way. The reasons was that the time apart has inspired the band to make some changes to their original sound. Rather than the warm, quirky, playfulness of the first two records, "Hysterical" seems right off the bat as a deeper, more ambitious and mature album. The soundscape has grown and gotten more dramatic, giving off vibes that resemble both Arcade Fire and The Killers and the songs seem to be altogether more serious. The one constant however, is the characteristic vocals of Ounsworth, whose sharp, oldschoold singing brings Bob Dylan to mind much the same way that folk-rock singers like Conor Oberst and Ryan Adams do. After having spent quite some time with "Hysterical" however, I must admit that my initial enthusiasm quickly found some boundaries that have turned up to be insurmountable. The blunt verdict: After a couple of great songs to start the album - "Same Mistake" and "Hysterical" - the songwriting simply isn't consistent enough. The two mentioned songs get things going with up-beat tempos, steadily building progressions, and a feeling like they're building up to an album that's going to be flat out great. The floaty, laid-back "Misspent Youth" however, grounds that feeling immediately when it comes around, signalling that the rest of the album, although definitely more 'decent' than 'bad', isn't going to really take flight the same way. The tracks are about a 50/50 mix of mature and patient sounding slow songs, and more light-hearted and fast ones. Some of them make recognisable impressions - the mellow "In A Motel" and "Idiot" for instance - and others don't quite. 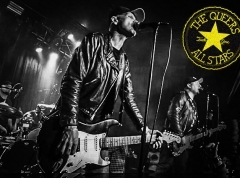 Especially the up-beat songs seem a little pale compared to their counterparts from the band's first album, lacking seemingly having less of that very hysterical energy that use to make the band so endearing. Overall this makes the album seem part promising yet part lack-lustre and in the end I find that it lands rather in the middle of the pack of solid indie-rock releases this year. It's as good as any release from bands that are worth noticing, but then not really any better than that in my opinion.